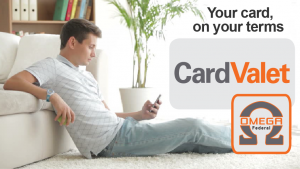 CardValet is a Mobile App that helps prevent fraud and lets you control debit card usage and spending on the go! To start using our Debit Card Valet Mobile App, Download “Card Valet” in the app store of your Apple iOS or Google Android device. For questions about the Debit Card Valet Mobile App, please call 412-369-3800 x 246. To watch an informational video about Card Valet – Click Here.